5. Gunderson School, Glyndon – Between Moorhead and Glyndon in the Red River Valley of the North can be found the “Gunderson School,” a one-room schoolhouse that was built in the 1930’s under the Works Progress Administration. The design followed the “Rustic Style” of architecture common of the period, and the construction was done with local fieldstone. 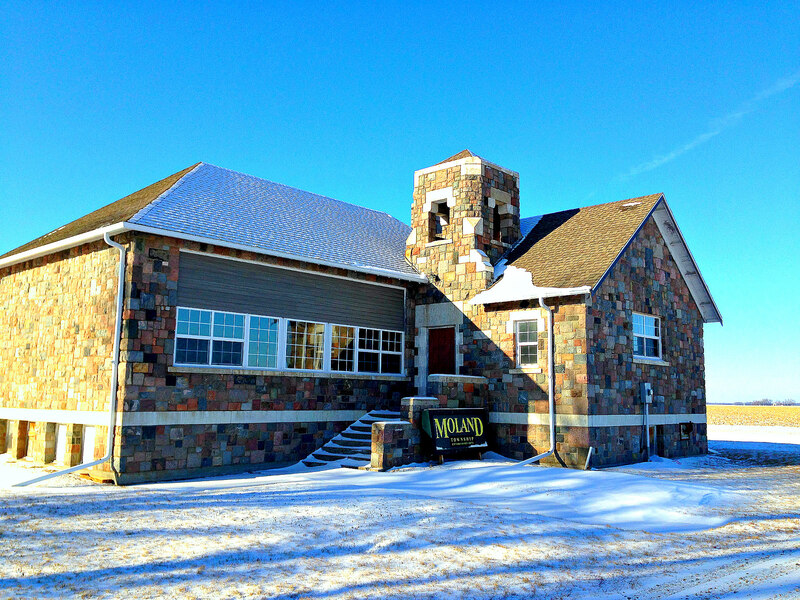 It is currently being used as the Moland Township Hall building. Read our full report here. 4. 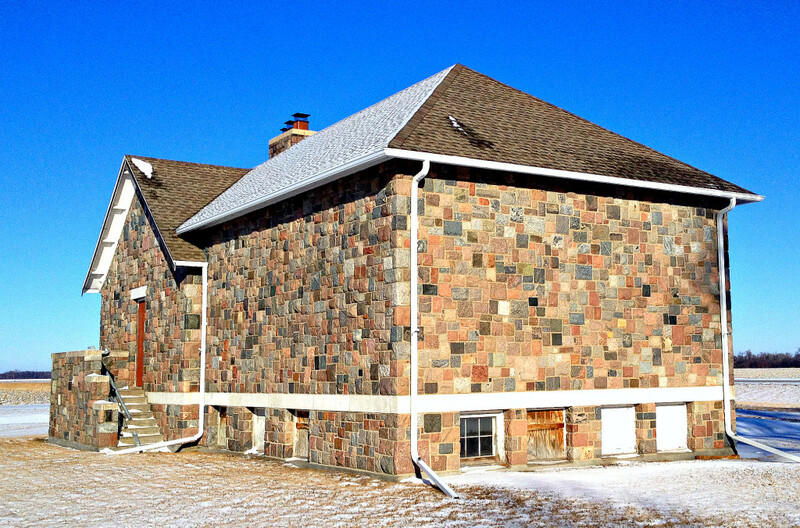 Hernandez House, Barnesville – The Victorian-style house made of locally-collected fieldstone in Barnesville outside of Moorhead made our recent list of coolest houses in the state. The Hernandez House dates back to the late 1800’s and is a standout in the tiny prairie town. It is listed on the National Register of Historic Places. 3. 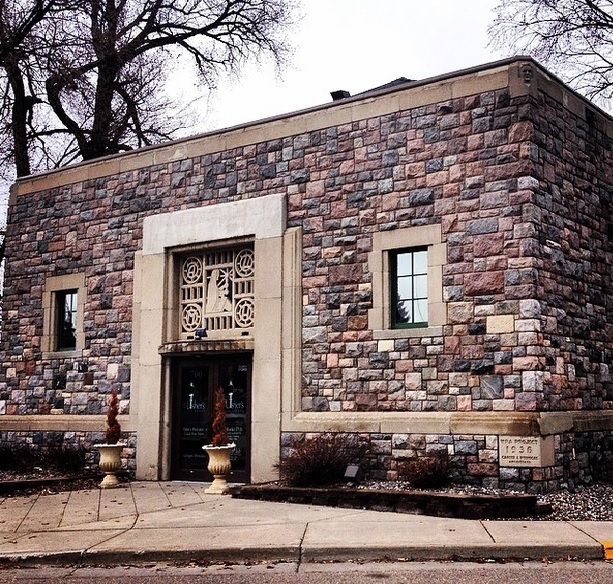 American Legion, Moorhead – Another Works Progress Administration project from the 1930’s, the old American Legion (now Usher’s House restaurant) in Moorhead was also influenced by the Art-Deco and Rustic-Style designs common of the Depression Era. 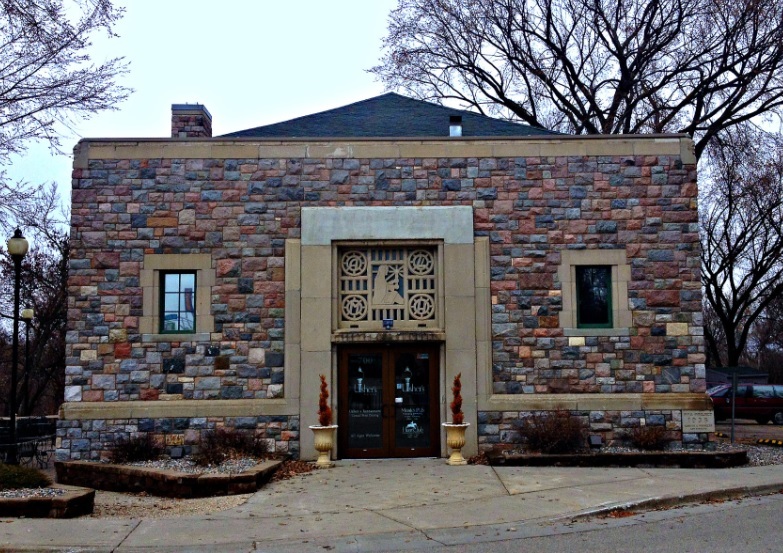 The architects also designed several other buildings in the area, such as the aforementioned “Gunderson School” (number 5 on the list), several auxiliary structures at nearby Buffalo River State Park, the Hawley City Golf Course clubhouse in Hawley, and the Fire and City Hall in Mahnomen. 2. 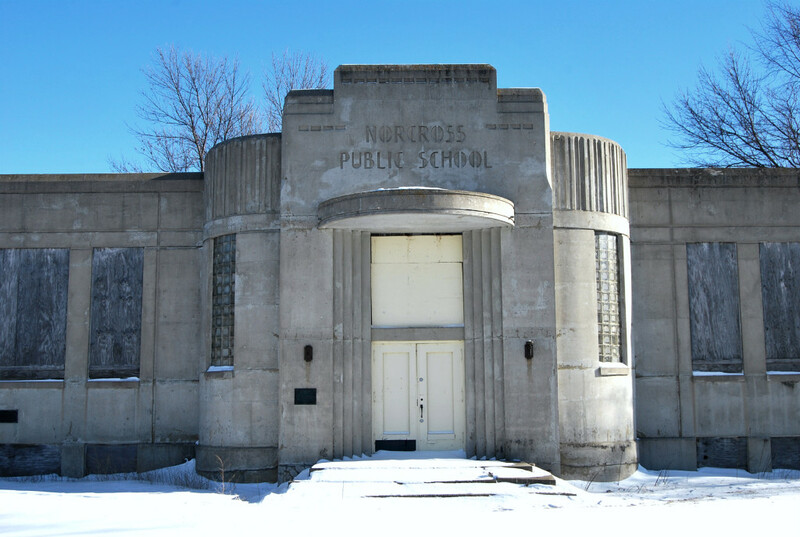 Art Deco School in Norcross – There isn’t much to be seen in tiny Norcross, a near-ghost town with a population of about 70. It’s mostly a small farming community on Highway 9, straight west of Alexandria about 45 miles. 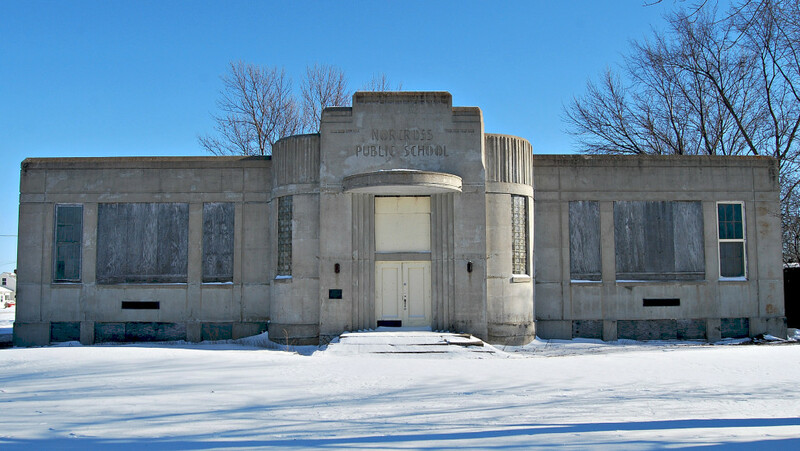 But there is something there worth seeing – an abandoned, concrete schoolhouse with classic Art Deco design. 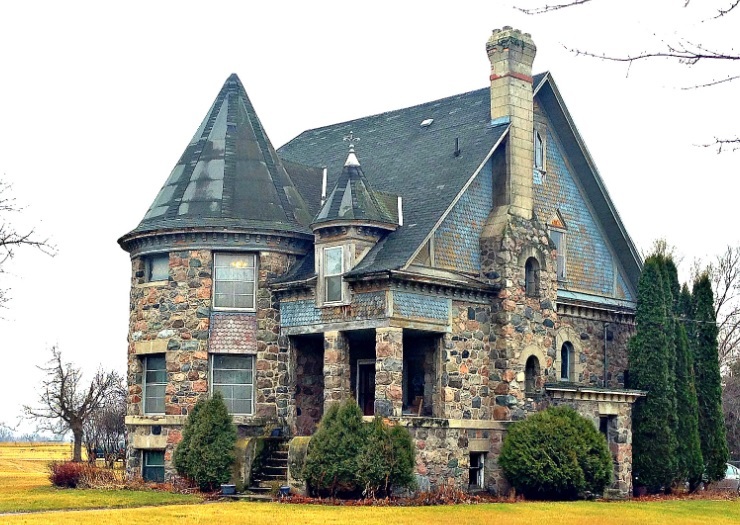 It’s been around since the 1938’s (under a WPA project), but has long been since abandoned. Apparently it is in private ownership nowadays with plans to fix it up, which has obviously not happened. 1. 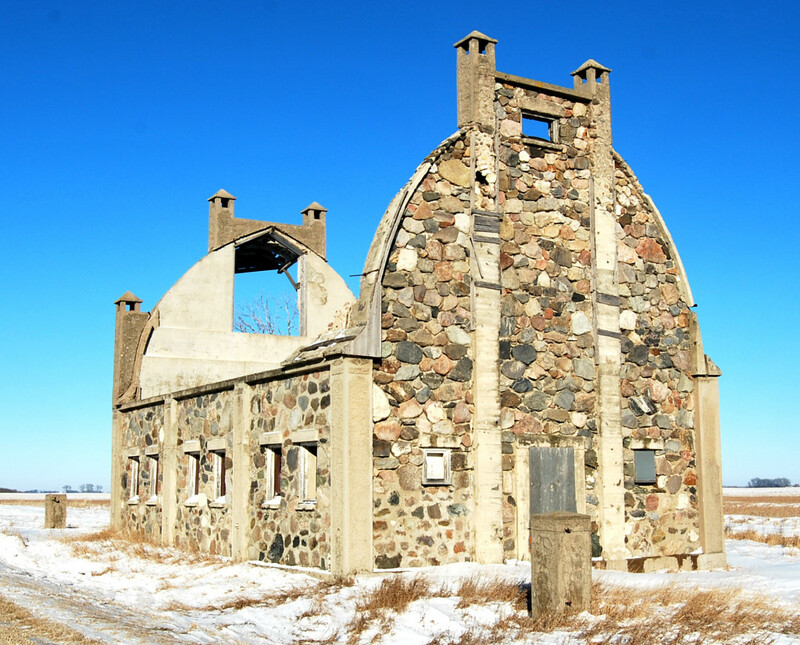 Stone Barn, Chokio – The innovative fieldstone architecture of Minnesota’s prairie region is exemplified best in Frank Schott’s stone barn found outside of Chokio, MN. After his wooden barn was destroyed in a windstorm, the Czech immigrant built the stone structure back in 1923 completely by hand with local field stone and sand from a lake nine miles away. The wooden roof collapsed over 20 years ago, but the walls and nearby pump house remain intact. 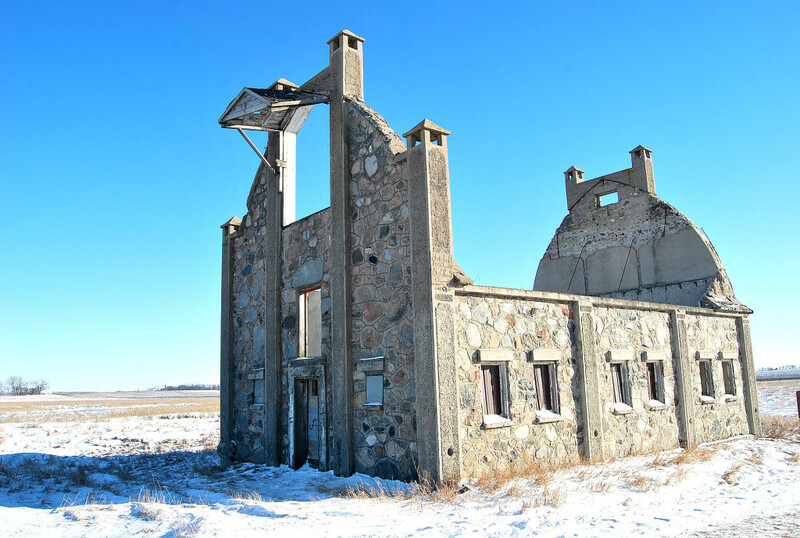 Are there any other structures on Minnesota’s western plains that we missed? Let us know your favorite buildings in the comments section below! If you ever get back to see #3 in Moorhead, again, you might add some photographs of the faces of the four men found around the top on the corners of the building. No one that I’m aware of knows who they are. There have been some guesses, and I don’t recall what those were, but nothing conclusive. I’d love to find out from someone! I will have to check that out next time I am up there! Just checking to see if this works. If it does and my previous comment DID go through (perhaps twice) could you please just leave it once and delete this one, too? I’m only being persistent because I really hope someone can shed some light on those faces on the now Usher’s House restaurant in Moorhead. Thanks!